Healthy eating can be confusing, with mixed messages coming form media, friends, family and even health professionals – but one thing everyone can agree on is that portion sizes have grown and many of us can no longer identify what an ideal portion looks like. Food portion sizes in our country have doubled, and then some in the past twenty years. The National Heart Blood and Lung Institute offers visuals to empower eaters of all sizes to understand the differences between the way we used to eat - and how we eat today. Twenty years ago a plate of spaghetti and meatballs clocked in at about 500 calories and today its more than double, with double the pasta and instead of small meatballs‚ we are eating 3 large ones. The average bagel size has doubled in the past 20 years. The normal soda serving size today is about 20 oz, compare that to a mere 6.5 oz 20 years ago, that’s just a bit over 3 times the calories‚ and not to mention the sugar! And when it comes to the basics - like a turkey sandwich, years ago it averaged in at 320 calories versus today’s whopping 820 calories! Meat (animal protein) about the size of the palm of your hand, or a deck of cards, 3.5 to 4 or 5 ounces depending on your size. 3 oz of fish is about the size of a check book. Cheese portion should be about the size of three dice, which is 1.5 ounces or approximately 170 calories. One cup of yogurt, is about the size of a baseball and accounts for one serving. 23 almonds, ¼ cup, is a great snack, and is about the size of a golf ball. You can also use the golf ball measurement for 2 tablespoons of hummus. A portion of crunchy veggies like broccoli, cauliflower, kale or carrots is about the size of a baseball, which equals about 1 cup. 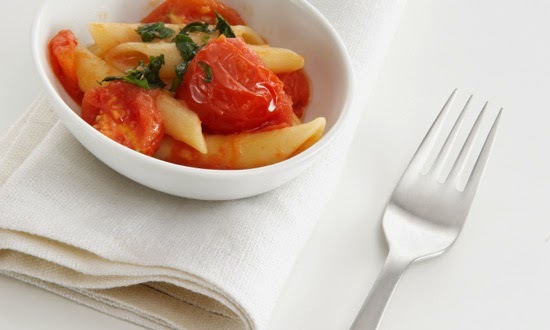 The same portion stands for leafy greens like salad, which one could easily eat two cups. What about fruit? Think baseball again, a good-sized apple is about the size of a baseball or even a little smaller. Dried fruit portion should look more like a golf ball. A cup of soup should also be about the size of a baseball. Craving a sweet treat? Keeping the sweet to the size of a pack of dental floss will keep you within your health goals. 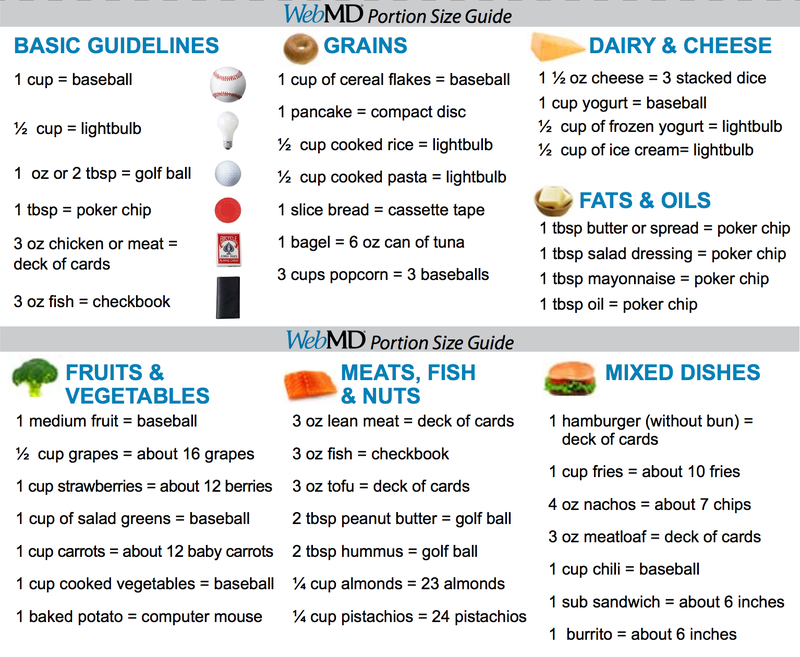 For a great visual of more foods visit the portion size plate from WebMD.